2015 Favorite British Artist of The Year Awards! Congratulations to ALL our winners! Stay tuned for winner’s interviews and award presentation! Thank you to ALL the Anglophile fans who devoted so much of their time in support of their favorite British artists! The Anglophile Channel Producers Panel will combine their votes with the audience votes and announce our winners! FAVORITE BRITISH ARTISTS OF THE YEAR! Please Check Back To Vote For Your Favorite! THANK YOU FOR VOTING For Favorite British Artists of the Year! Nominees Will Be Announced On NEW YEAR’S EVE! 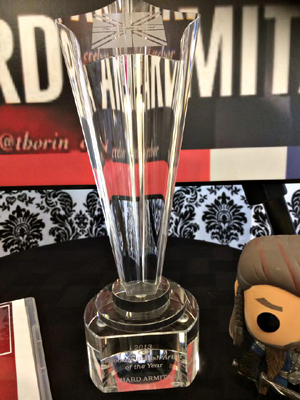 More chances for your favorite artist to win the Crystal TAC Award! Welcome to the 2015 Anglophile Channel Awards. Our annual fan vote for Favorite British Artists of the Year! British artists reigned supreme this year with so many actors enjoying success across multiple genres: Film, Television and Theatre! Their beautiful faces graced magazine covers, movie posters, red carpets, talk shows and more. Their brilliant performances have been lauded by critics and audiences alike. From Benedict Cumberbatch‘s complex portrayal of Enigma code breaker Alan Turing in The Imitation Game to Eddie Redmayne‘s heart breaking turn as Stephen Hawking in Theory of Everything to Emily Blunt‘s musical outing as the Baker’s Wife in Into The Woods…Brits have flown the flag high for Britain this year! Artists such as Cumberbatch and Martin Freeman also enjoyed success on the small screen with hits such as the BBC series, Sherlock and FX’s Fargo, while their Hobbit co-star, Richard Armitage burned up the boards in a West End production of The Crucible. And let’s not forget the Grand Dame’s of British Thespians: Maggie Smith, Judi Dench and Helen Mirren all continuing to turn in performances that will go down in history as some of the greatest! We have added more categories which means more opportunity for your favorite British artist to win! 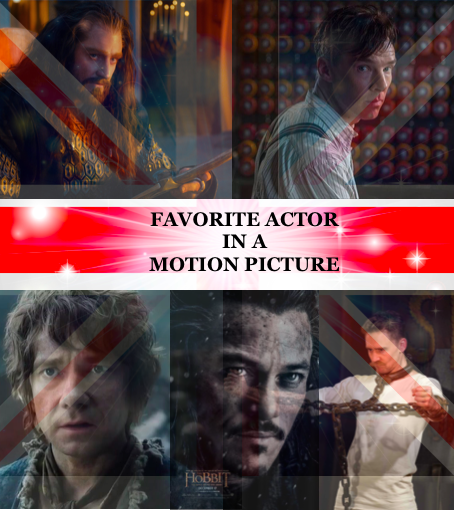 You will now have the opportunity to nominate your Favorite British Actor/Actress in a Film, Favorite British Actor/Actress in a Television Series and Favorite British Artist of the Year! Now begins the nominating process! Below are the FIVE categories for which to vote in. If you DON’T see the name of your favorite artist in any given category, be sure to WRITE IT IN!! Every British artist is eligible, we just didn’t want to make the ballots so long. Vote as many times as you wish! Nominations Voting Ends December 29th! The TOP FIVE nominees will be chosen from each category. Nominations for The Anglophile Channel Awards will be announced on our New Year’s Eve Countdown Show on December 31st 2014 only on YouTube. The final winners will be announced in January 2015 during Awards Season! 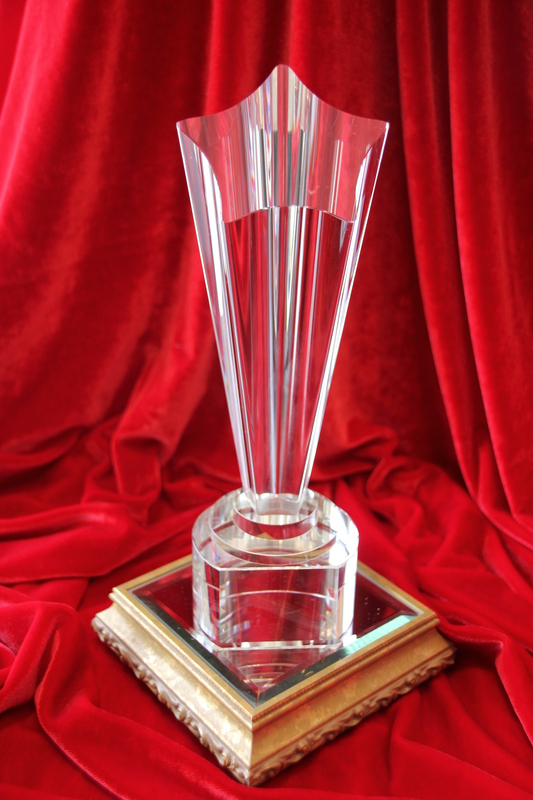 The winners of The Anglophile Channel Awards will be personally presented with the beautiful TAC Crystal Award, just like last year’s Favorite British Artist of the Year Award recipient, Richard Armitage! The winners are determined by audience vote combined with the Anglophile Channel producers panel. Good Luck to ALL our Favorite British Artists! Let the voting begin! 282 Responses to 2015 Favorite British Artist of The Year Awards! Last week of voting for Richard Armitage for his outstanding performance in Battle Of The Five Armies and The Crucible. Sam Heughan and Caitriona Balfe for Outlander! WTF, why are all of the nominees for artist of the year men? Terribly sexist of you. My write-in vote is for Caitriona Balfe! I’m with you, Debra! My Outlander friends on Facebook feel the same way. Maybe next year, more women will be included in Favorite British Artist of the Year!!! CAITRIONA Balfe & Sam Heughan from Outlander….no one else even comes CLOSE!!! Catriona Balfe and Sam Heughan from Outlander!! Just Richard Armitage, the best actor of the year! I love Armitage and of course everything Outlander BUT Benedict Cumberbatch can do no wrong in the acting world…sorry Sam and Cait….voted for you on everything EXCEPT artist of the year. I’m continually impressed by the comments made by the fans of Outlander. This is a series that started over 20 years ago in the mind of a gifted author, Diana Gabaldon. Her book, Outlander (which is so much more than a romance novel), is on Starz and other cable or satellite stations and has gained in popularity over the last few months. The two main characters, Jamie, played by Sam Heughan, and Claire, played by Caitriona Balfe, are talented actors. They have brought these characters to life in a way that will stay in our memories long after the series is over, which may not be for many years. In April, the second half of season one will be starting and I hope that those television viewers who have avoided checking it out will give it a chance. This is why I’m voting for Sam and Caitriona today. I believe in Outlander and the part they play in bringing this epic series to the world. I hope those who may not have seen it yet will read the first book during the next few weeks and think about watching the show. Sam Heughan and Caitriona Balfe without a doubt! Richard Armitage, Richard Armitage, Richard Armitage. I love Sam Heughan and Caitriona Balfe. They have managed to embody Jamie and Claire for millions of fans that have read the books and…to captivate the attentions of those who haven’t read them yet. Last day of voting! Armitage supporters come out in full strenght – but then also Sam ans Cairiona for best TV series!! Tom Hiddlestonon, Tom Hiddleston, Tom Hiddleston, Tom Hiddleston, Tom Hiddleston, Tom Hi…. Sam and Caitriona of course!!!!!!!!!!!!!!!!!!!!!!!!!!! Sam Heughan and Sam Heughan!!! !